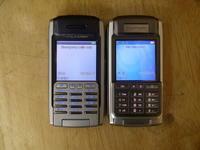 I decided to trade in my almost two years old SonyEricsson P900 for a secondhand P910. For most cases, the P900 has been more than enough for me. The only gripe I had is that it’s got a measly amount of working memory (RAM). Running Opera and Agile Messenger at the same time? P900 will gladly terminate one for the other, and background tasks too, most of the time it will choose the important ones. Opening a few web pages in Opera? The notorious ‘out of memory’ error will appear very soon. Physically, the P910 has twice the amount of working memory than P900. It’s better than that though: by counting resident part of the operating system, the amount of free memory available for user is almost three times the P900! I really hope this can get rid of those dreaded ‘out of memory’ errors. Other than that, the P910 is almost identical to the P900. The only noticeable feature is the thumbboard, which I think not that useful. My jot writing is a lot faster than typing on a miniscule keyboard, not to mention that it is completely useless in dark. And unlike a certain someone, I don’t buy this for a mere illumination :). 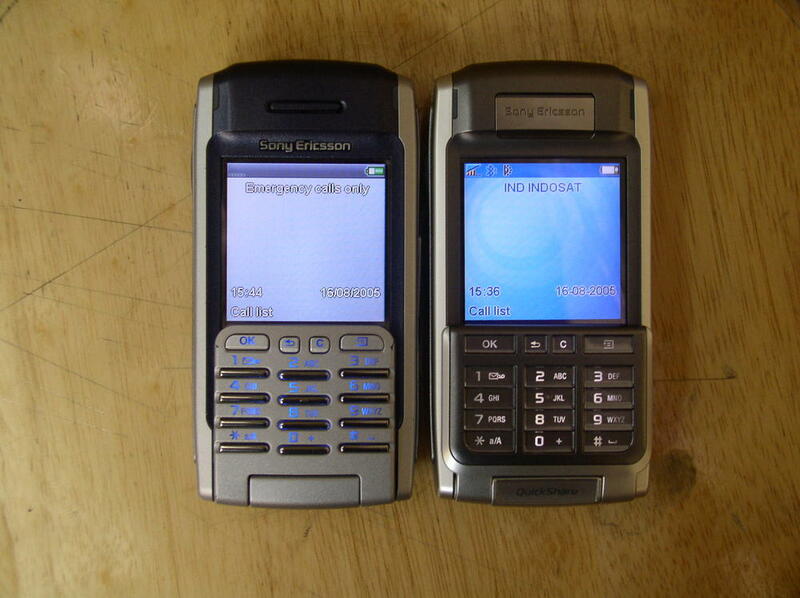 I had SE P900 before, but that phone was too huge and uncomfortable to carried anywhere. But don’t give me wrong, that phone was the bomb, I could put any program, like Open Source Programs on that phone. SE P900 has everything you need. I use IMATE-JAM (a.k.a O2 XDA mini) :) Oh yeah, it is Windows PPC. Is it comvy to accept incoming call while you’re in urgent need to synchorinze schedule or contact info ? #6 ah yes, it is very preferable to keep them separated. You’ll mostly use a phone to talk or writing short messages, while reading e-books or organizing contacts would be left for PDAs. Anyway, PDAs connectivity are mostly internet-based. But that isn’t the main reason why I’ve split their jobs. It’s standby time. I just don’t want to be unavailable on my GSM network just because I’ve spent too much time reading e-books. Sure, if your cellphone is too outdated, you’ll mostly have problems in organizing your contacts or synchronizing with PC. But as I’ve said, those types of connectivity conducted on PDAs are mostly internet-based, so this is where it differs. PS: #6 the way you used the word ‘convergence’ seems odd. Is it right? #6 Oh, you should’ve used ‘converge’ in place of ‘convergence’. And by the way, you can still accept phone calls while synchronizing, right? * My primary mobile activities consist of web browsing and IM, why carry a separate PDA if P900 can do those tasks very well? IMHO, SE’s MemoryStick “closed standard” is much too inacceptable. I think SD/MMC standard is better, for its widely used in many other gadgets from various vendors. I love the phone… but the memory stitck is very expensive… I need 1 GB to store entire quran mp3, but the card itself costs 1/4 of the phone’s price.